Objective: This tool is very useful. Many times we encounter a situation where we need to maintain a report on the daily basis (For weekdays). 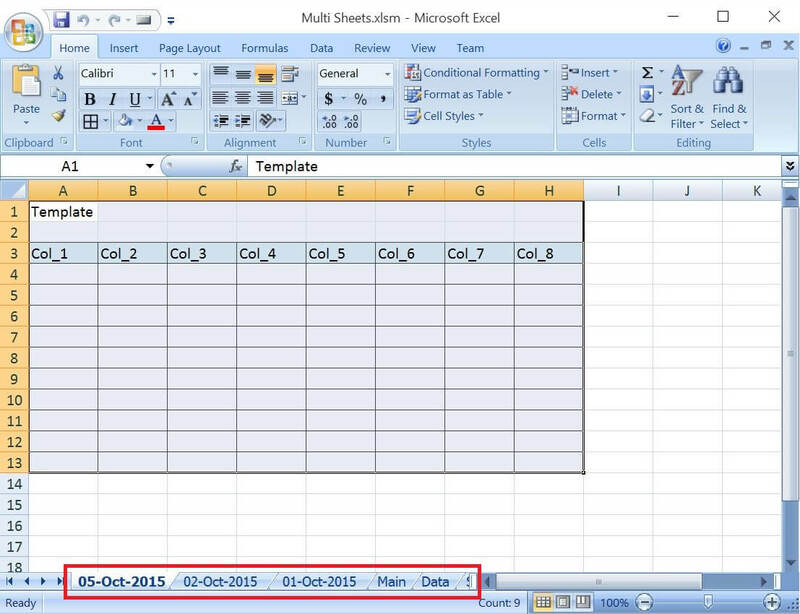 We manually create a worksheet for each day and copy the template from previous sheets and edit it. This tool will automate all the manual work I have described. Code is very simple, you can modify the code as per your needs. Download from the link given at the start and end of the article. Put all the days in the “Main” Sheet. You can drag for putting the continuous dates. Put the template you want to be pasted in each of the worksheet. Leave it blank if you want blank sheets to be created. That’s it, You are good to go. 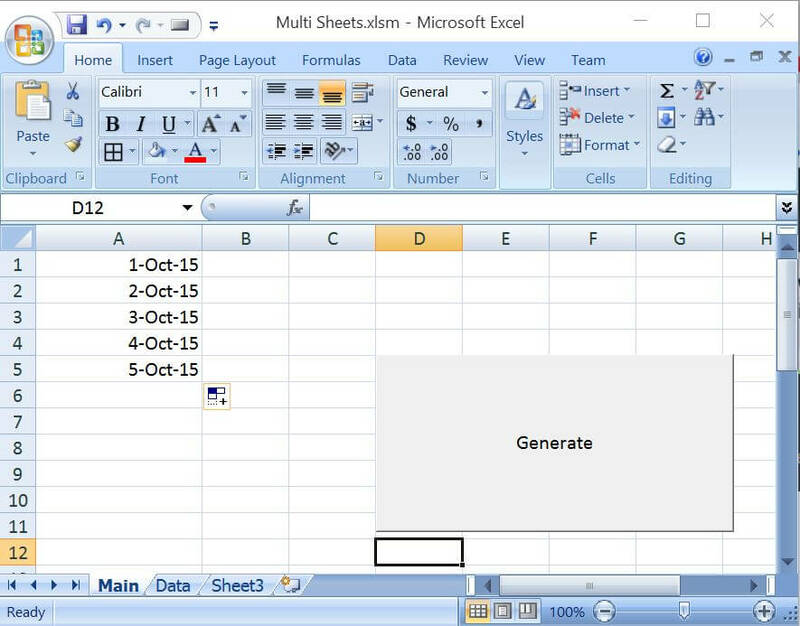 Just press the generate button and your sheets will be created with template in each sheet. Create worksheets with Names in Specific Format/Pattern. Create or Add Worksheets at the Run time. 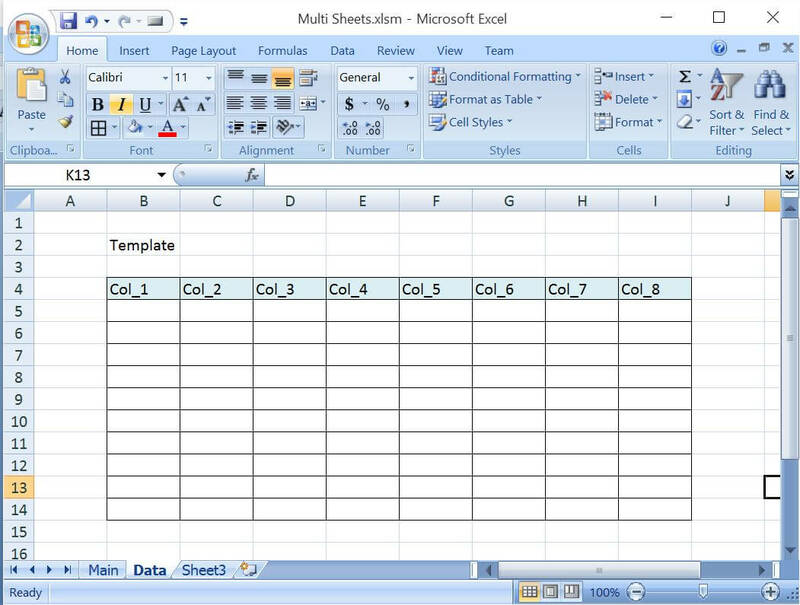 Excel-VBA : Open a MS Word Document using Excel File using Explorer Window. 213 queries in 0.092 seconds.